Quick Plug develops and manufactures stabilised substrates for seedlings and cuttings for the commercial horticulture sector. From its base at the epicentre of greenhouse horticulture in the Netherlands, the Westland region, Quick Plug develops various ‘growing systems’ that ensure that growers can maximise the performance of their plants. Quick Plug uses a unique procedure to mix and produce the ideal substrate for your vegetable or ornamental crops. 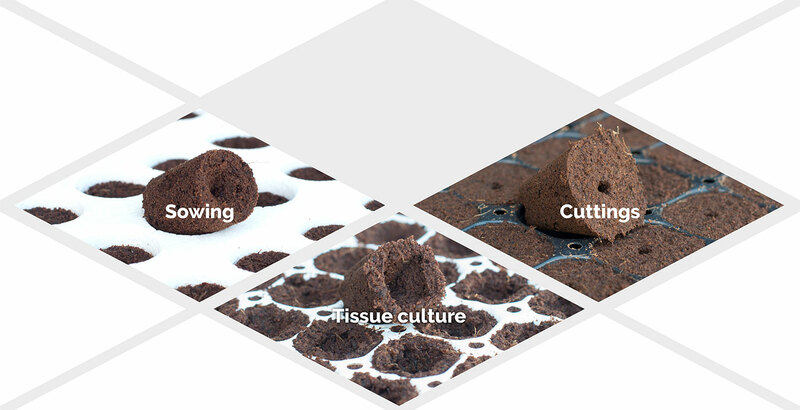 The customised plugs only contain the very best quality raw materials, combined with an optimal water and air ratio, pH value and fertilisers. This makes the plugs the perfect foundation for your crops to flourish on.